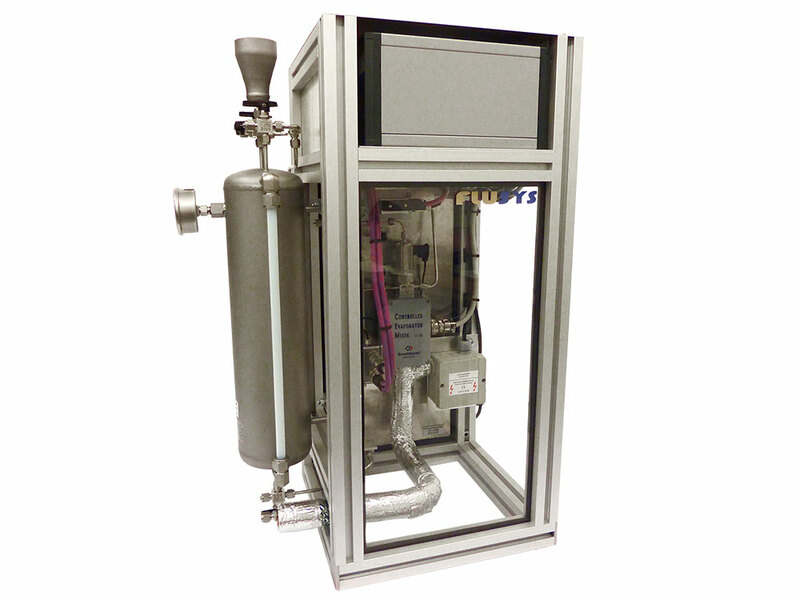 Evaporator systems from Flusys mix two or more gaseous components together. The first step involves transferring liquids into the vapour phase. Depending on the application, they are based on a direct evaporator or on an evaporator system based on carrier gas. The gaseous components are then mixed and dosed in a controlled manner. Monitoring and control tasks are performed by the software and visualisation modules. These are optimised in terms of hardware according to your requirements to come up with a customised total solution. 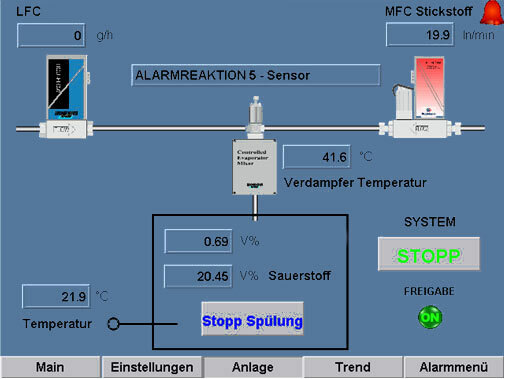 With all Flusys systems the full range of control levels, from manual right up to fully automated, is possible. 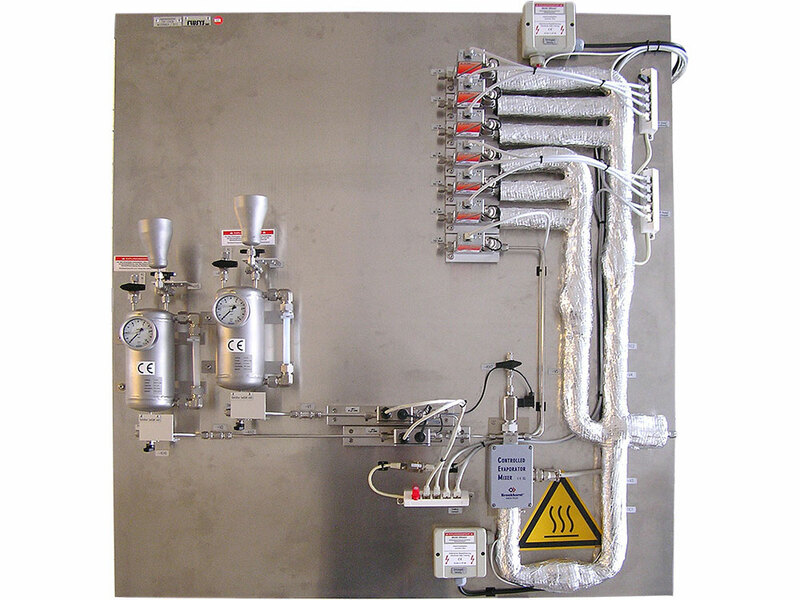 A mixing or re-dosing unit can be integrated into the evaporator systems, e.g. to generate any composition of the mixture that you desire. Another option is combination with storage tanks for the stockpiling and pressurisation of liquids. 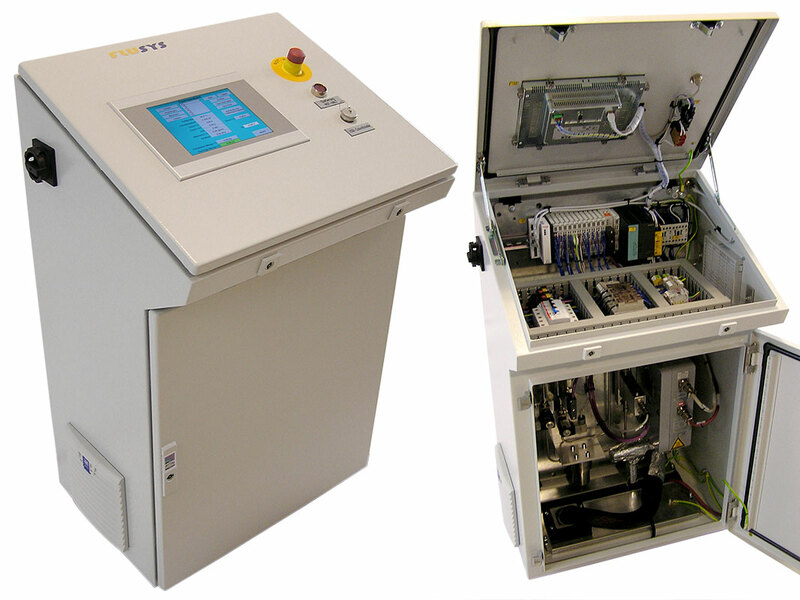 One upgrade option is for temperature control of the subsequent process gas feed.